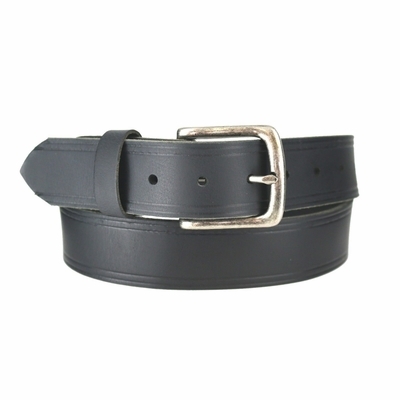 Leather thickness: This is a 3/16" = 4.8 mm thick strap. Width: 1-1/2" = (38 mm) Wide. Buckle: Antique Nickle Finished Buckle 1-1/2" wide.